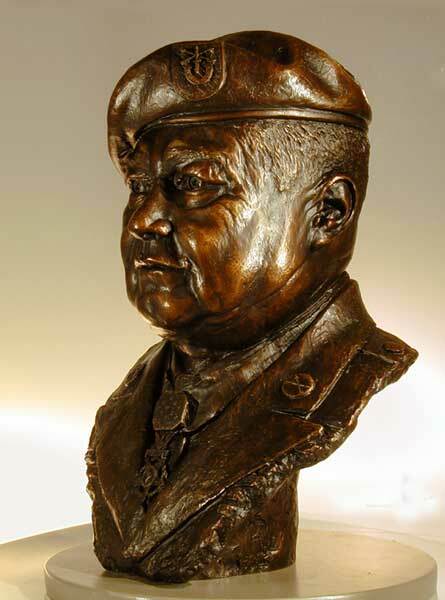 Description: Limited edition of 12 life size bronze sculptures with solid walnut base (not shown) The sculpture depicts Roy Benavidez as he looked about 1989. It isintended for installation in facilities named for Roy Benavidez and for private collections. 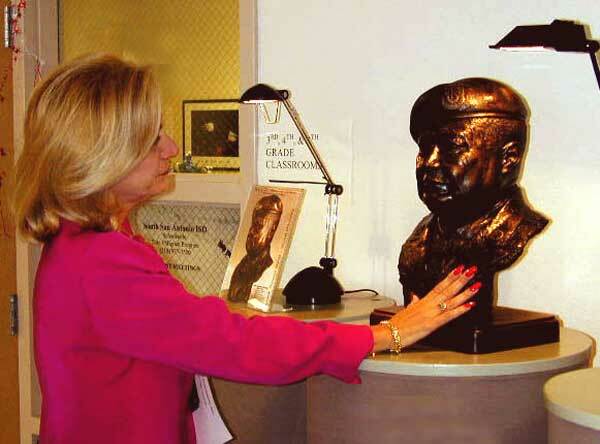 Photo: The bust on display at the dedication ceremony for Roy Benavidez Elementary School, San Antonio, admired lovingly by a member of the San Antonio School Board.